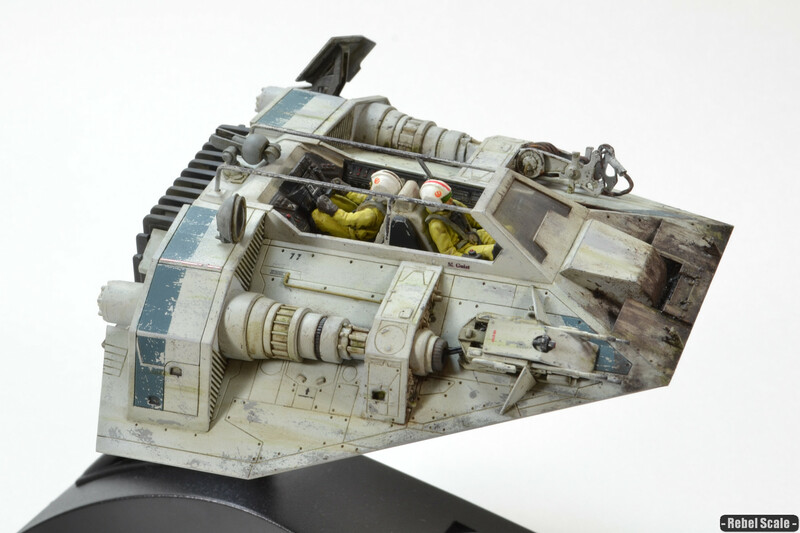 Like the Sandspeeder, the T-47 Swampspeeder was inspired by the variants listed in various books, but is an original design of mine. 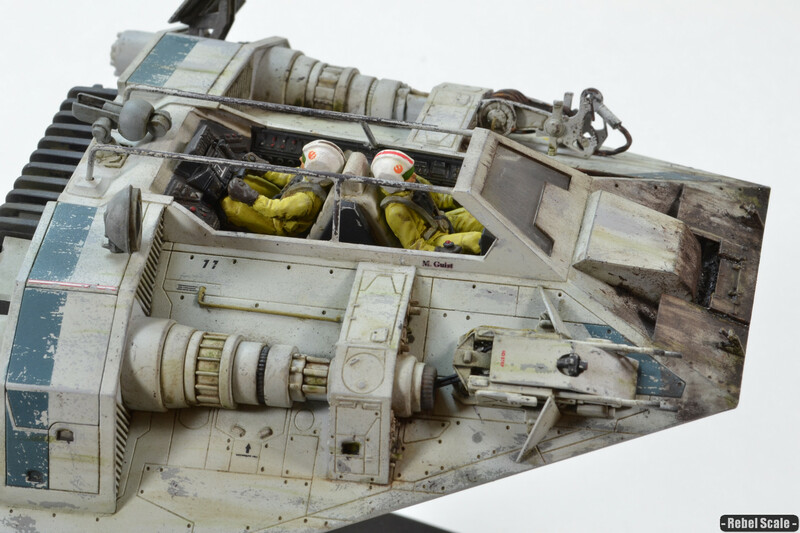 I started out using the Fine Molds’ Snowspeeder kit, which is a really well-made kit out of the box. I built the quad blaster out of various parts and brass tubing. Wires were made from copper wire. For the front end, I cut out sheet styrene and fashioned a blast plate. In addition, I added a cool geometric shape from 251 halftrack (1/35). The front tow-hooks are schürzen hooks from a Panzer IV. 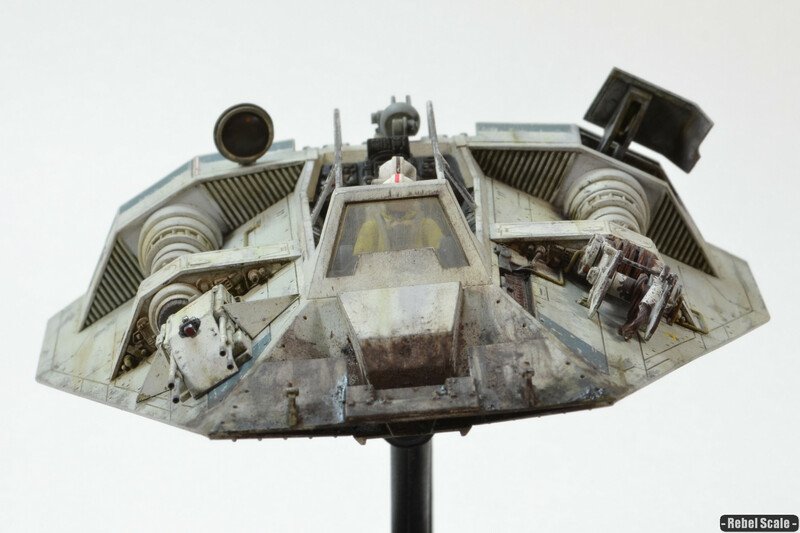 The floodlight was actually the clear canopy of an F-toys TIE Fighter (leftover from the TIE Facility). I had to do a lot of sanding and then I added it to a half-sphere piece and added a styrene rib around the edge). The winch was created primarily from 2 tank parts that I glued together. Then I wrapped picture wire around and added a tow hook to the end. I also added a hubcap from a Panzer IV (1/72) to the side of the winch for added detail. The open canopy bars were made from brass rod that I soldered together. This was the first time trying soldering with a model, but it worked quite well. I then added a grenade launcher to the back, which I made out of a gun mount from Panzer IV (1/35). I also added a removed panel from the side, which I had to cut out from the kit and add styrene. All the wires around the kit were made from brass rod (apart from the ones on the blaster). As usual, I started by priming it in Tamiya Grey. I sprayed a darker Vallejo grey around the edges, and painted a dark brown on the open canopy bars. I sprayed AK Interactive Worn Effects to create chipping after the next coat. I sprayed an off-white color from an old Polly Scale bottle, which I then took time to chip away liberally. 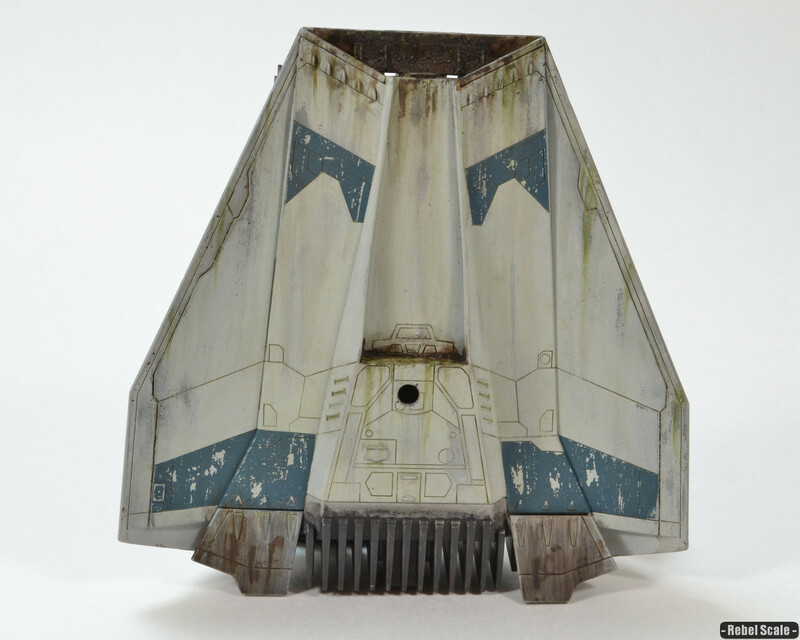 I added more Worn Effects and then created a custom blue tone that I sprayed within masked areas around the hull. This I chipped again after it dried. 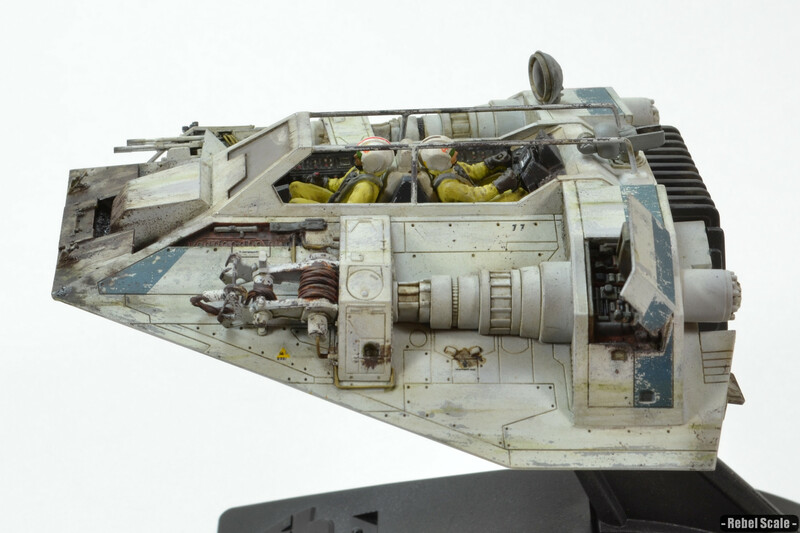 Everything else was hand-painted: dunkelgelb for the wires, primer red for the open panel/air brake interior, dark grey for the cockpit. 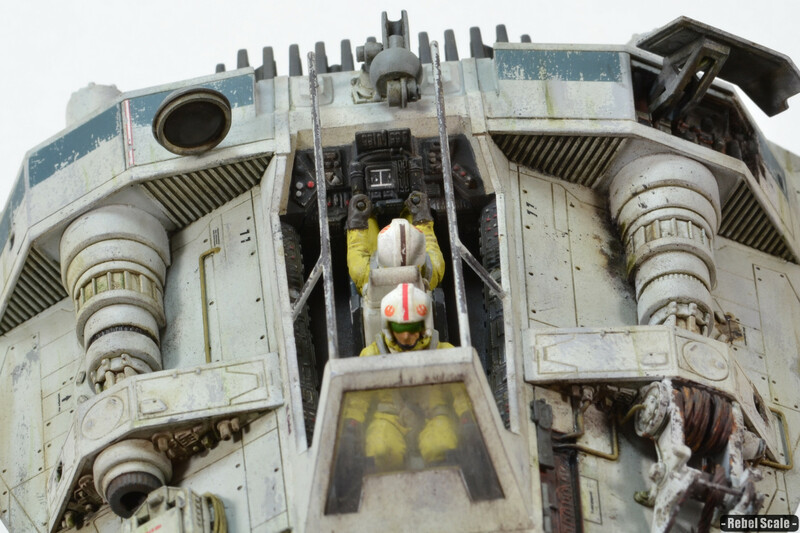 The pilots were sprayed with a light yellow, then hand-painted. I used AK Interactive effects to create highlights and shadows to the best of my ability (not much practice painting figures). I added a little blue poster putty to their butts and attached them (so they can be removed if need be). I then had fun adding various decals, including a “No Step” on the blaster cannon. For the rear gunner, I layered several decals to recreate a PONG game, as he seemed quite bored in the back. I also created a custom decal for “M. Guist”, which stands for Mitchell Guist, who was a regular on a show I like called Swamp People. He unexpectedly passed away last year, and I built this Swampspeeder as kind of a dedication to him. 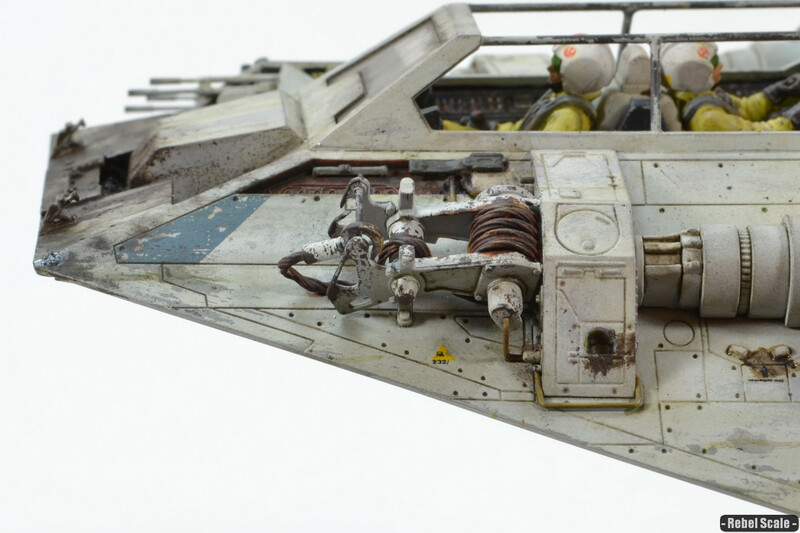 Then came my favorite phase: weathering. I used a combination of AK Interactive products and pigments to create mud and other effects. The slime green streaks and pools were created using AK’s Slimy Grime products (really helpful by the way). Finally, I mounted it to a slightly modified Action Fleet stand. Fine! 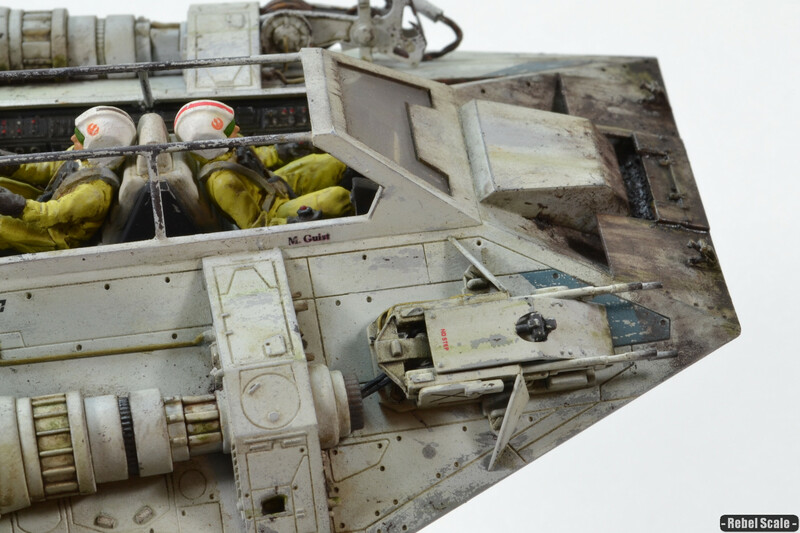 The T-47 proved to be a valuable asset to the Rebel Alliance due to its adaptability to various environments, as well as the ease in which technicians could refit the craft for whatever needs arose. 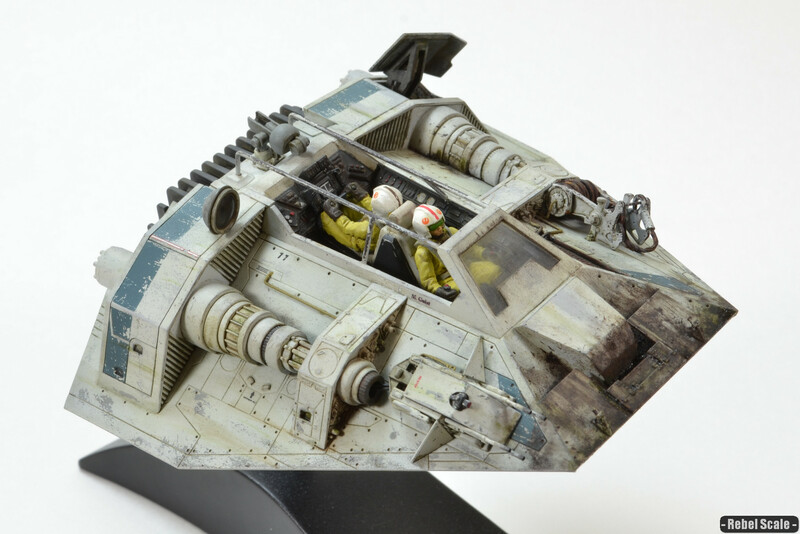 For harsh tropical and swamp climates, the T-47 Swampspeeder featured several alterations to the basic T-47 look. Primarily, engineers removed most of the canopy, creating an open-top cockpit. This increased visibility in muddy conditions and allowed pilots quicker access to their craft. 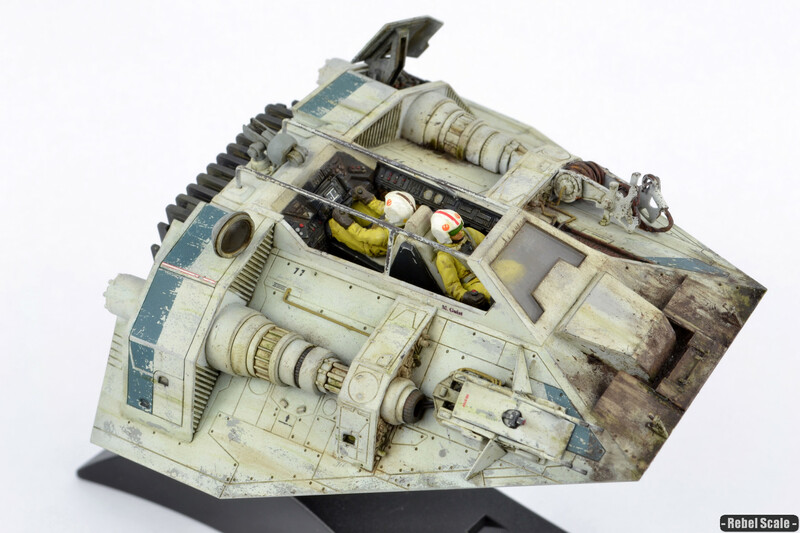 Usually designed for speed, the T-47 Swampspeeder has a lower top speed, but increased armor. An additional armor plate was fitted over the front, as well as an armored sensor package to navigate difficult terrain. Each power generator, usually coupled with a large laser cannon, was typically altered to house more useful armaments. With the lower speed, a rotating quad blaster cannon was mounted to the right side. This ensured better aim by not requiring the pilot to line the entire craft with the target. This emplacement featured additional armor plates, and a targeting camera in the center. 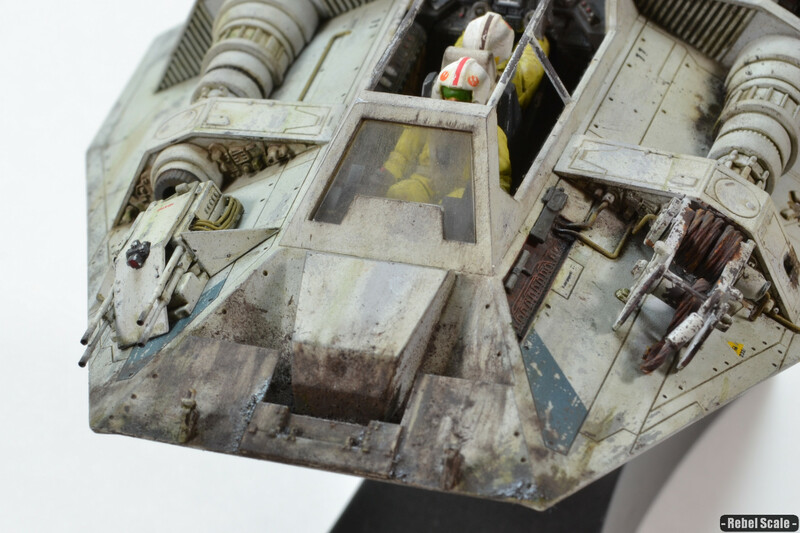 On the left side, technicians added a powerful winch and tow cable that could pull containers and small starfighters out of the bogs. 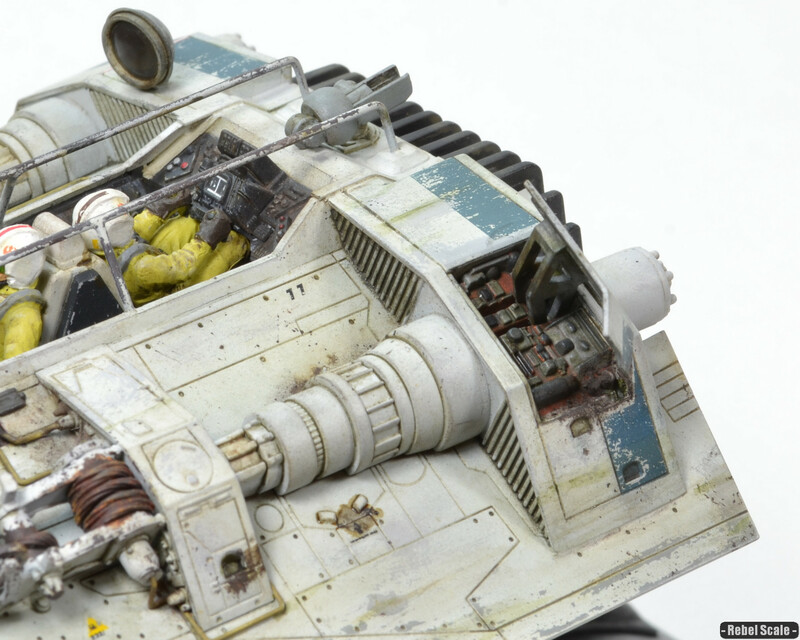 In addition, Rebels added tow hooks to the T-47 Swampspeeder's front armor plate for added leverage. A huge spotlight was mounted atop the engine array, offset from the main craft. The spotlight could rotate, and pilots could focus the beam of light several hundred meters. Finally, the rear towing mount was replaced with a concussion grenade launcher, which Rebel gunners soon found the grenades doubled as depth charges. 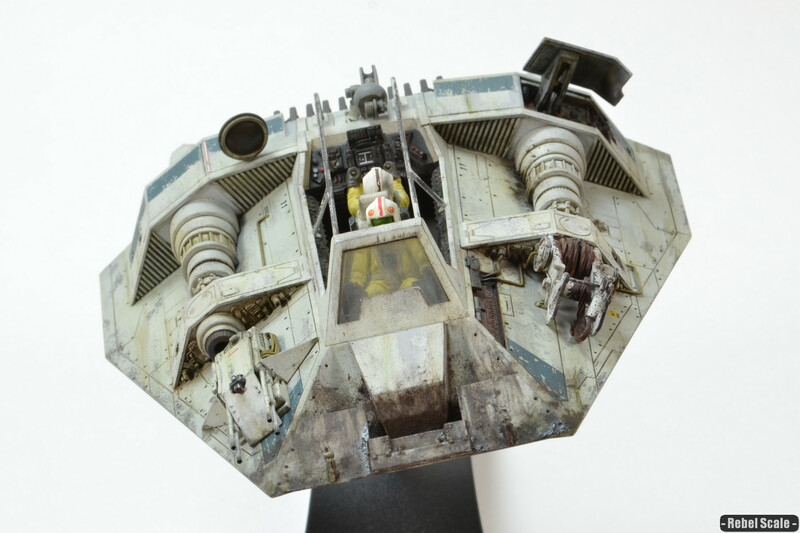 The T-47 Swampspeeder was mired by a few of technical problems, all due to mud and gunk accumulating in the systems and engine housings. 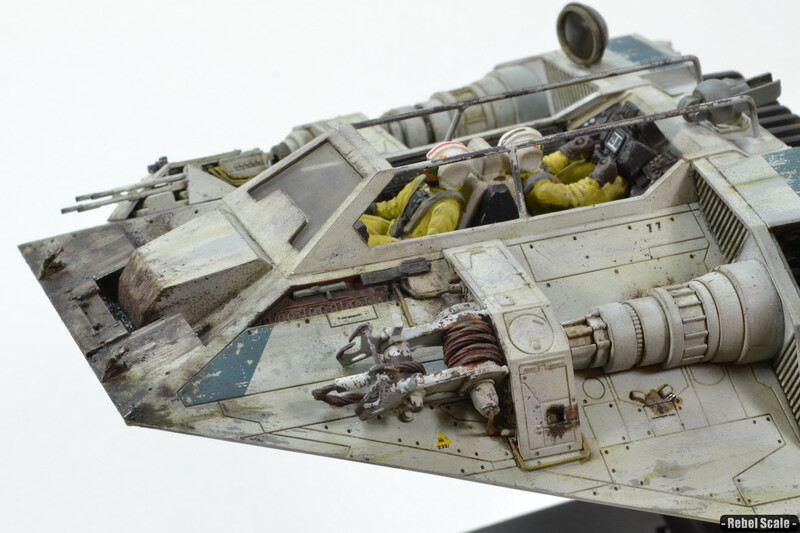 As a result, panels were often left off the vehicle, similar to the Y-wing. Moreover, pilots often flew slowly to reduce the risk of mud and debris flying into the air intakes. Hi do you have a sale catalog on your ships? Hey man. I don’t have a sale catalog, but if there is something you are interested in, you can email me.